When it comes to accessorising your camera, there are many options. Some are made to provide extra protection, some are made to help you shoot more comfortably, and others still are made to give your camera a classier look. But what about an all-in one option? This is where Gariz comes into play. 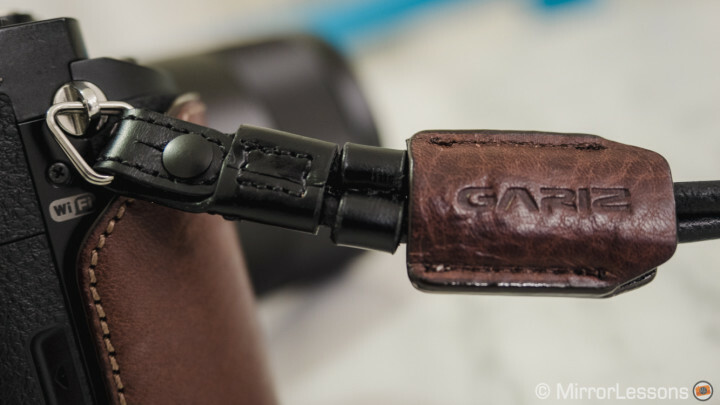 Gariz is a Korean company specialised in designing camera accessories. 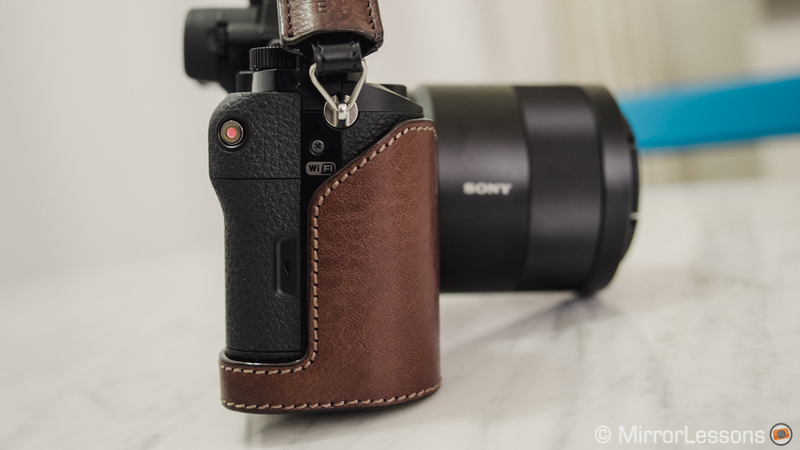 Over time they have gained a very good reputation, particularly for the quality of their leather cases, which are available for many mirrorless cameras. We briefly met with them at Photokina this year and they kindly sent us some products to review. I am usually not interested in half cases because they don’t offer complete protection for the camera, though some of them are meant to be used with an optional camera cover that protects the camera completely. 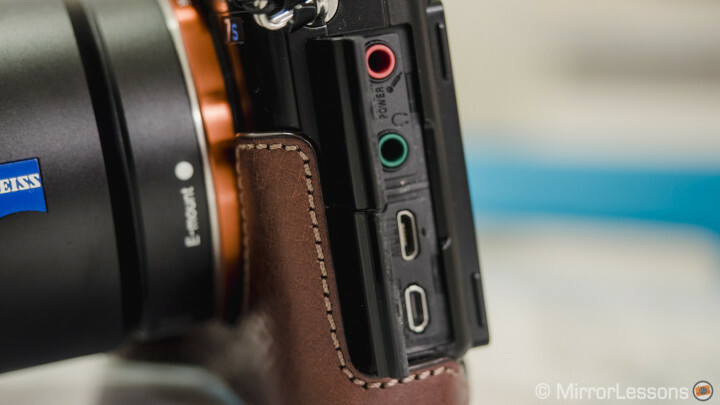 A complete cover solution can be great for a fixed lens camera but when it comes to interchangeable lenses, the lens you are using will determine how good the fit is. This is why I’ve always had the impression that half cases are more of a way of “decorating” the camera than actually adding something really useful. 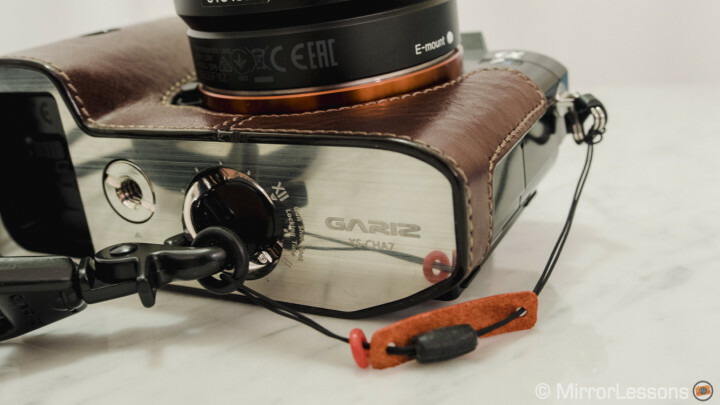 The Gariz setup is different because its half case is also designed to be used with the Gariz neck strap in “Gun Shot” mode. 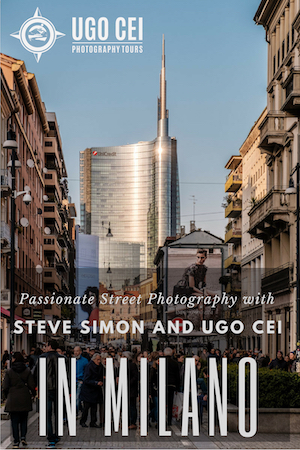 It looked like a more interesting option, not only because it gave the camera an attractive look but also because it worked as a good carry-around solution. 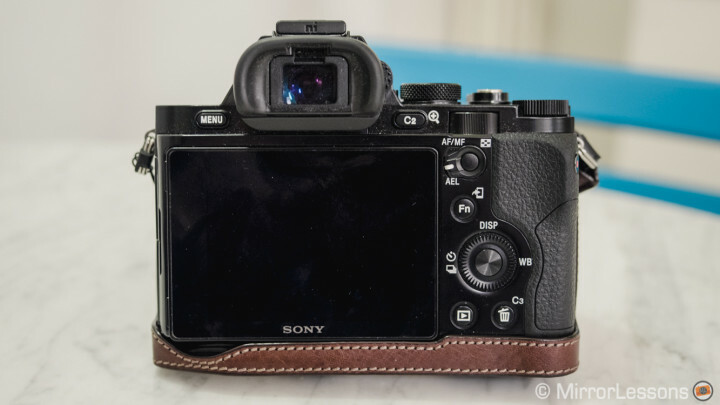 I received the half case compatible with the Sony A7s, but there are models designed for many mirrorless cameras including Fujifilm X cameras, Olympus OM-Ds, Lumix, Sony Nex, Leica, and so on. The half case is made of genuine leather and is available in different colours including brown, dark, orange, red and grey. 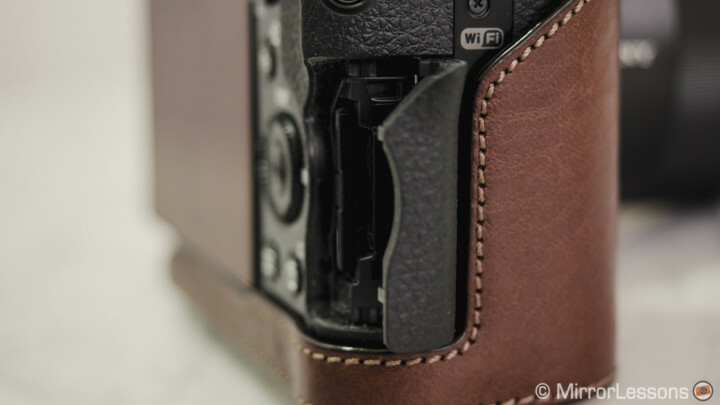 As you can see from the pictures, the leather covers the front grip and some lower sections on the front of the camera around the lens mount. The case is carefully designed to match the lines of the A7s and I must say that it fits the camera like a glove. There aren’t any issues opening the side connector doors or the SD card port. 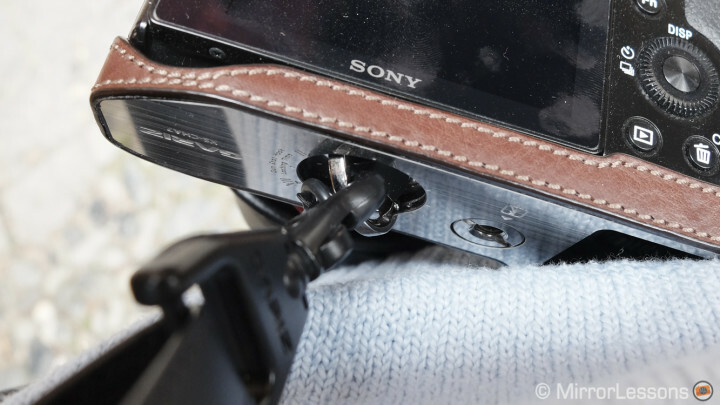 Unfortunately for the Sony A7s, the cable protector supplied for the camera cannot be attached as the case blocks it at the bottom. This isn’t a big deal since you will use that cable protector only for video shooting and you probably won’t configure an A7s for video shooting with a Gariz case anyway. The bottom is made of solid metal. 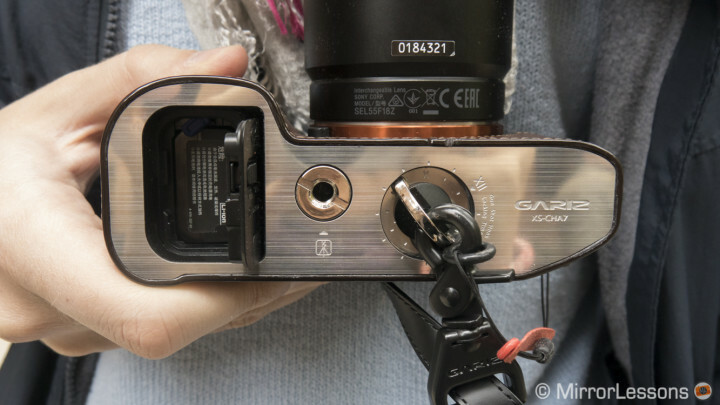 You attach the case simply by placing it on the bottom of the camera, where the locking ring will naturally align with the tripod mount of the A7s. The locking ring is easy to screw on and there are marked indicators around it to help you remember its position for a secure lock. That way it is easy to check if it unscrews a little after extensive use. There is also a tripod mount and a battery hole that lets you swap batteries without any trouble. While the amount of protection is limited to the grip, I did notice an improvement in the handling of the camera. Since the case adds around 1cm of height to the bottom of the camera, there is now more surface area that my fingers can grab. The contact with the leather also adds a nice tactile feel. 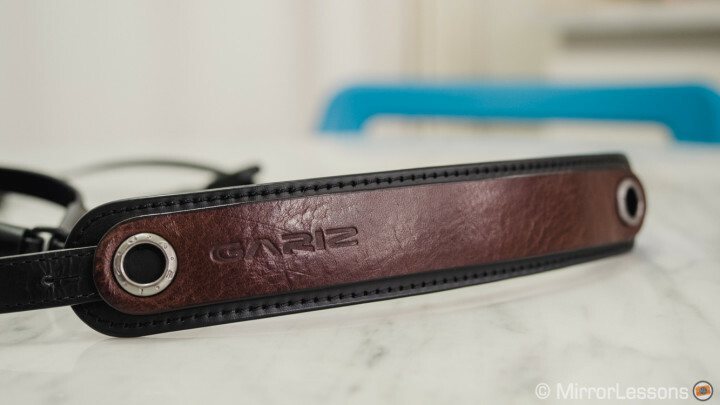 There are three different types of neck straps designed by Gariz. The one I tested is the one designed for compact cameras and MILCs. It is also made of genuine leather and the shoulder pad is available with the same colours as the half case so they can be matched. It can be attached just like any regular strap to the two lugs of the camera. 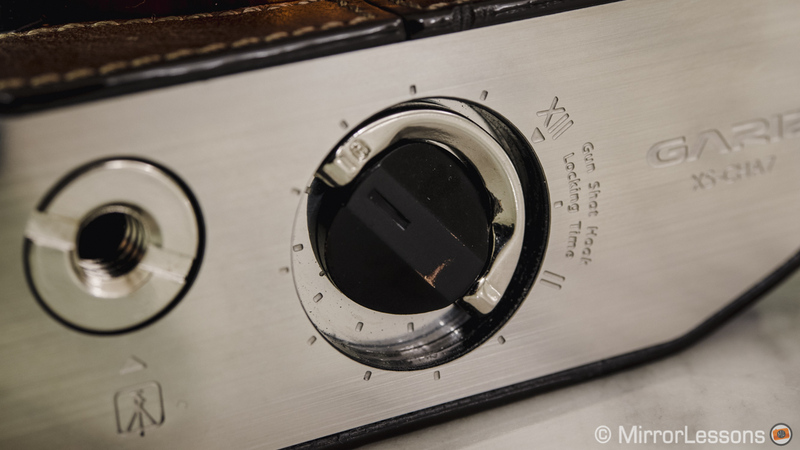 But the most interesting way to use it is in combination with the optional camera hook. 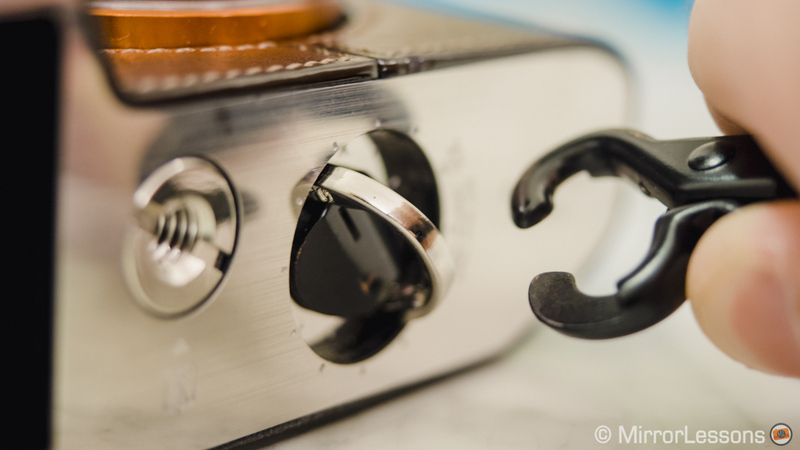 The camera hook is designed to be attached directly to the locking ring of the half case. 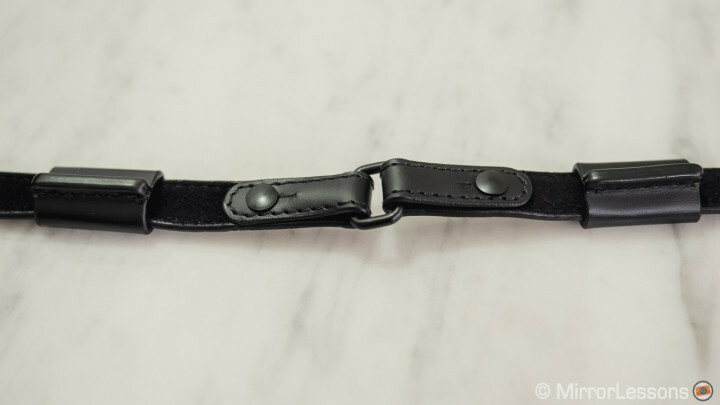 All you need to do is slide the strap into the hook, and securely attach the two far ends of the strap using the proprietary knobs. That way the strap becomes a circular loop that won’t break by chance. 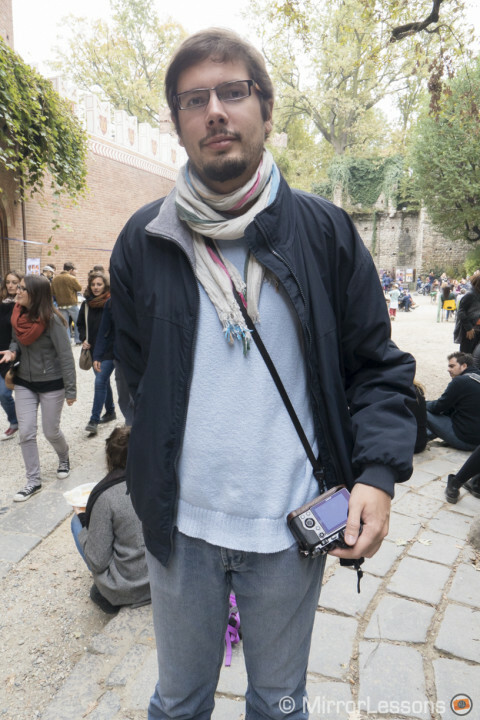 You can then carry the camera by keeping the strap over your shoulder and having the camera hang from the bottom. With this set-up, the camera becomes easy to grab, and thanks to the hook that naturally slides up and down the strap, the shoulder pad always remains on your shoulder without shifting back and forth. After an entire afternoon spent walking with this combination, I didn’t have any sort of fatigue or pain in my shoulder. The neck strap is certainly comfortable to use. 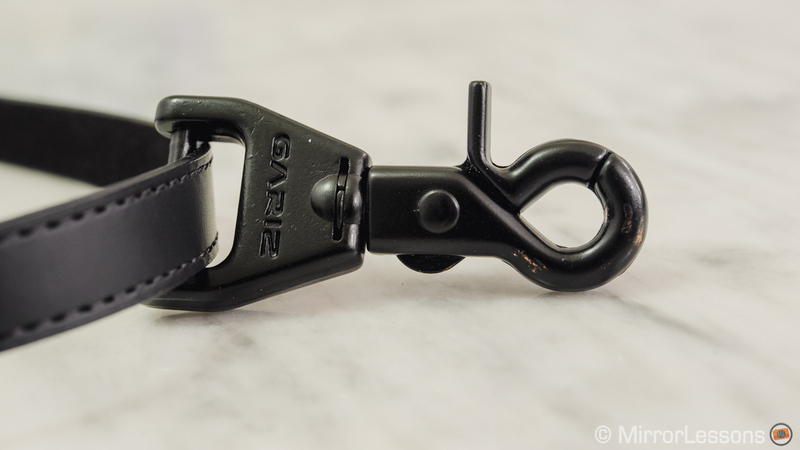 Gariz also provides a “hook saver” which consists of a very thin cord that connects the hook to one of the two camera strap lugs. This will prevent your camera from falling in case the locking ring fails. At first I was surprised by this extra feature. Seeing such a tool included in the package could lead us to think that the locking ring of the case is not 100% secure. However, after using it intensively during long walks, I can say that the locking ring actually holds perfectly and that the “hook saver” looks more like an extra safety precaution. 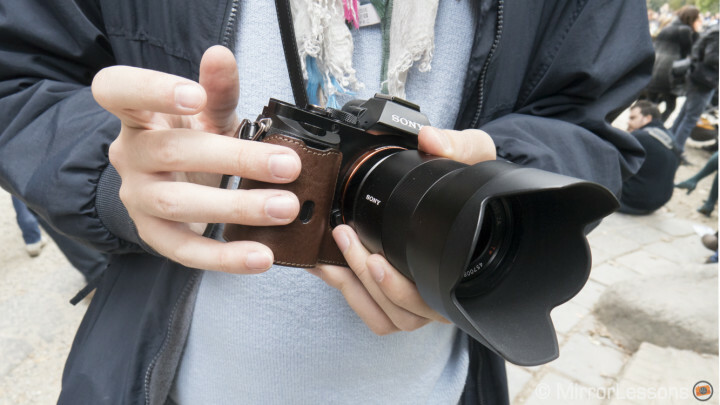 But it certainly won’t hurt to check that the locking ring is securely screwed before taking your camera out for a walk. 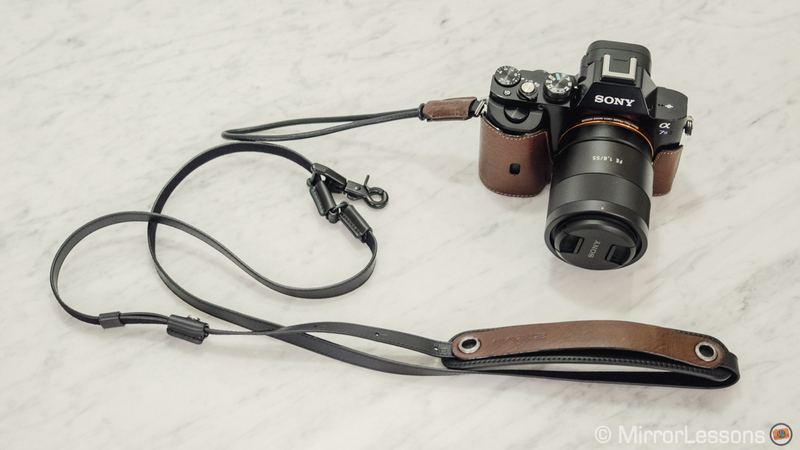 The only little downside of this “hook saver” is that if you decide during the day to detach the camera from the strap, the “hook saver” will hang from one side without a way to attach it to the other end. I found that the easiest thing to do is wind it around in the locking ring so that it doesn’t bounce around. Among other interesting accessories that complete the half case/strap kit, there is also a wrist strap you can attach to the camera. It is available with the same colours of the half case so that you can match the designs. The size suits my big hands well: I have no problem inserting my hand through it and my hand remains close to the grip of the camera. 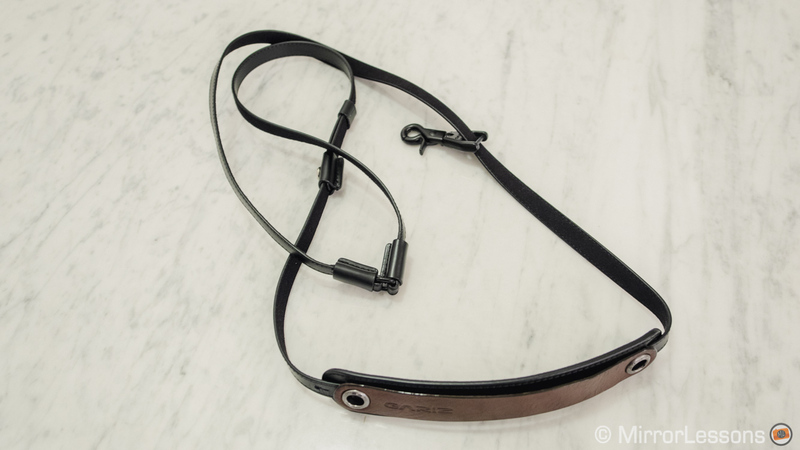 It can be used in combination with the neck strap. 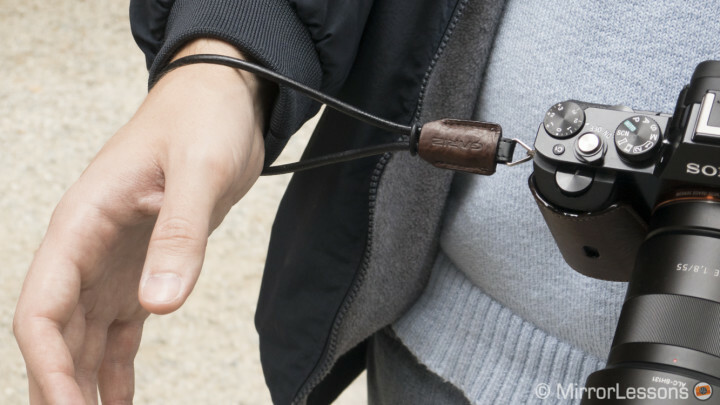 Thanks to the camera hook, you can quickly detach the camera and use it with the wrist strap instead. 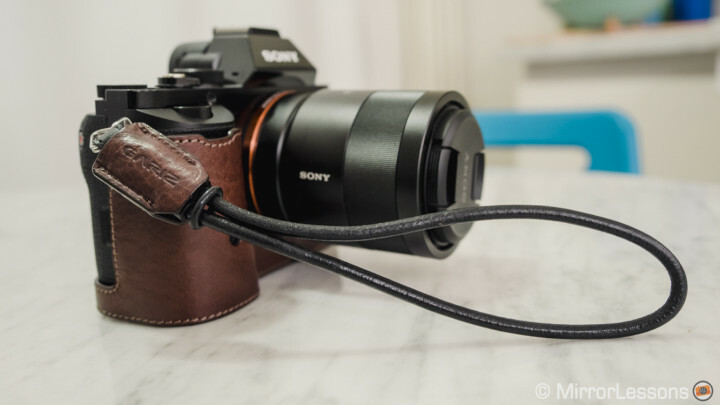 Then once you have finished you can reattach the camera to the hook and put the wrist strap around your lens (if is not too large) or keep it around the hook before attaching it. My only complain goes for the knob that I found extremely difficult to secure. It looks like the overall design is a little bit too tight. This means that you won’t attach and detach it all the time. So make sure you really like it! I have been curious to try Gariz products since we first started up this website, and I must say that it has lived up to my expectations. The build quality is very high and I find the design very elegant. 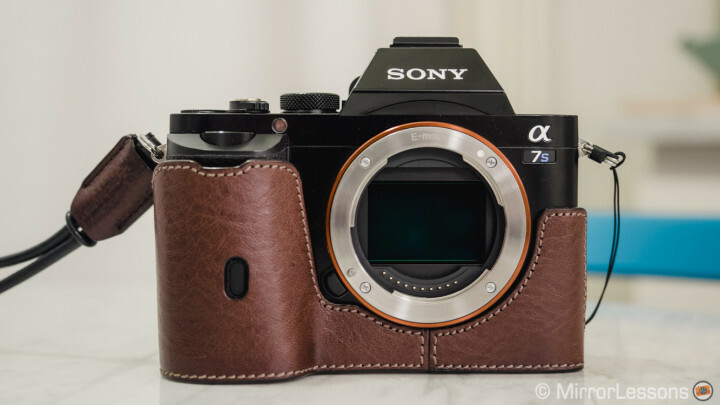 It suits the modern design of cameras like the Sony A7 series but also other retro-style cameras like the Fujifilm X-T1 or X100s. 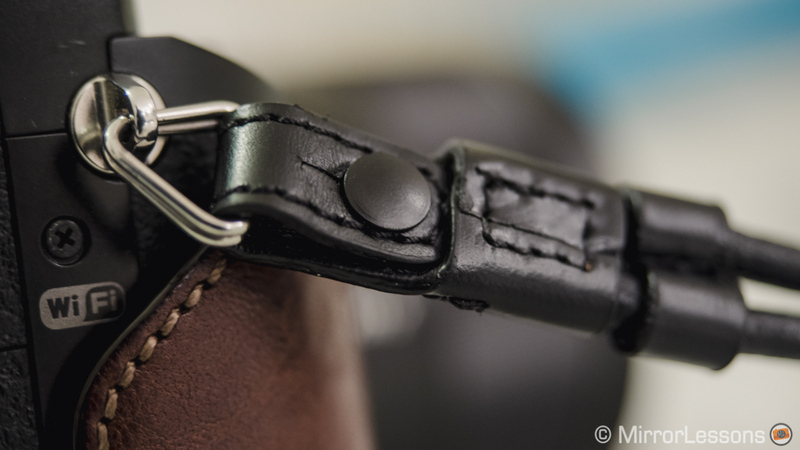 The “Gun Shot” mechanism that quickly connects the neck strap to the half case is a nice combination. It proves that the products are not just elegant in appearance but also smartly designed to make your shooting experience more comfortable. The half case, the neck strap, the camera hook and the wrist strap are all sold separately, so you will have to compose your own kit. Make sure to check the exact name of each part you wish to buy so that you receive the right colour. My half case for example is named XS-CHA7BR where A7 stands for the camera model and Br stands for brown.